We are so glad you stopped by !! We hope you enjoy these pages as much as we have in putting them together. The study of our ancestors is continuing with the help of family, friends and of course the internet. Histories, interviews, stories and copies of documents can be found from the drop down menus above, along with statistics, photos of headstones and maps of cemeteries where available. A gallery of Photos of our ancestors is being compiled with links to the individuals. 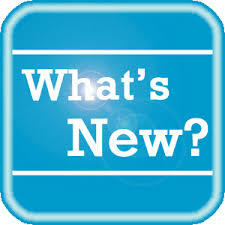 All of this is a “works in progress” and each time you return, more information will be available. Submitted information is always welcome, and photos or documents you would like to share can be attached to an ancestor. Although we are working constantly at checking and recording sources, it's only as good as the information gathered from government records, church records, relatives, and online sources. Please note: To protect the privacy of living descendants, some information including photographs, notes and some names and dates are only available to registered users. Comments and suggestions for improvement are also welcome. 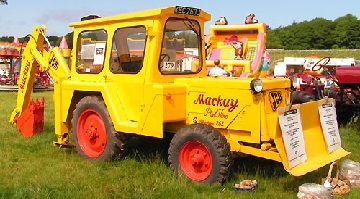 The Griffin Family are connected to JCB through the marriage of the company founder Joseph Cyril Bamford to Marjorie Griffin. Marjorie was the sister of Bernard Griffin, who is the father of Ruth Judges (b.Griffin) an administrator of this website. Bernard was one of the original workers who helped start the JCB company. He moved to Yeovil to join Westlands, taking on employment as a sheet metal worker. JCB successfully grew under the guidance of Joseph, and quickly became the worldwide Company that it is today. It is still under the control of the Bamford family and forever forging ahead with new innovations. Nathaniel married Sarah Hancock, and they had a daughter Anne Eliza Griffin. She married Edmund Hill and they had daughter Bertha Casandra Hill who was Sir Billy Butlins mother. 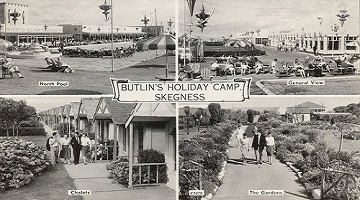 Billy started his first holiday camp in Skegness in 1936 and was really in business after the second World War. After expanding to a bigger nationwide network, sensible marketing saw the number of sites drop, but the quality of those remaining rise to a new level of acceptance. They are still in business today but run by another company. Billy's name and character is still a part of this popular holiday organisation. This keeps all our records private, for only members to view. View a list of Family branches by clicking here. From the Starting Individual, clicking on the Descendant and Ancestor Tabs, will show their individual Family branches. Checking through old census forms, marriage records, parish details, and other ancient artefacts have brought us incredible results. However, modern science has given us DNA testing and the Internet, which have quickened the process and introduced more unknown family to us. First cousins meeting again for the first time in over 60 years. After searching without result for over four years, Geoff got a positive result at last. Dave's daughter Katie took a DNA test through Ancestry which found Geoff as a potential first cousin with “Extremely High” confidence. 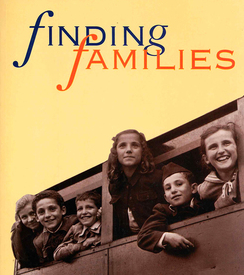 Correspondence between Katie and Geoff quickly found the link between Geoff's father and Ken Judges' sister, Eileen Judges, who was also known as Nina. When Nina married Don Fisher, they were living in Salisbury Rhodesia where Don was working. 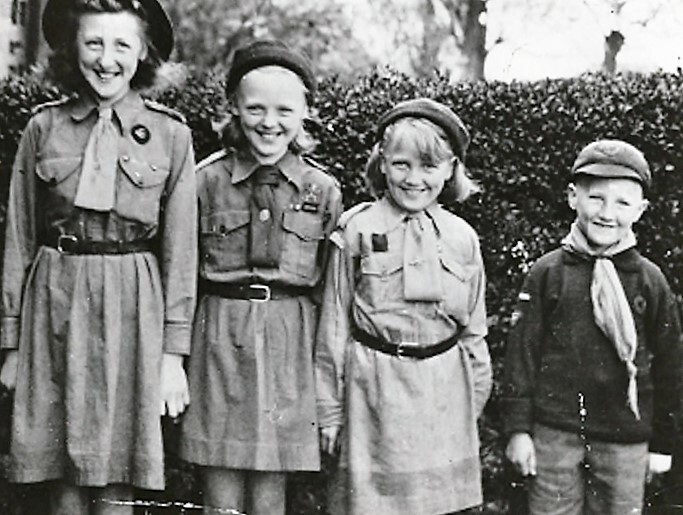 They came back with their three sons to the UK for a visit in about 1955 and that was the last contact with Dave until emails between Katie and Geoff, earlier this year. Dave came back to the UK for another holiday in August 2018 and Geoff met up with him, his wife Cheryl, daughter Tamara and grandson Ben in Weymouth, Dorset. Nina and Don had returned to the UK in early 1980's, living in Weymouth until Don sadly passed away with cancer. Nina stayed here for a few years but went back to South Africa where she passed in 2008. 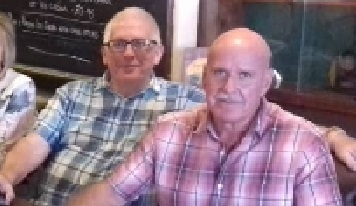 Dave and Geoff will now be keeping in touch and hopefully meeting up again in the not to distant future. There are also many of Dave's cousins who are looking forward to meeting him at some point.